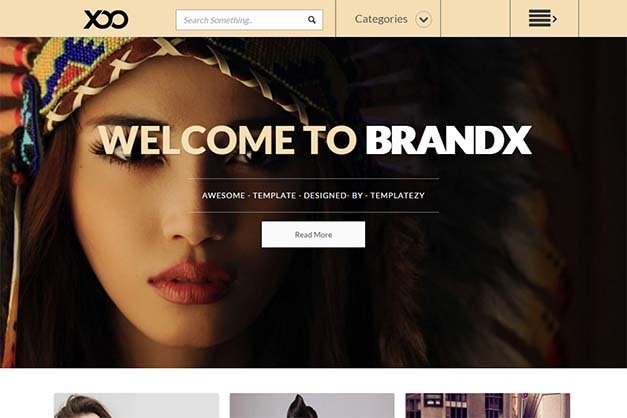 BrandX Blogger Template is fully responsive theme that comes with modern portfolio layout interface. Its modern with crazy design makes it unique and professional template that is suitable for photography, inspiration, portfolio and webdesign blogger blog. BrandX will be perfect for fashion magazine, beauty & fashion portals, celebrity blogger websites, fashion bloggers and photography sites. It is especially designed for those who are still seeking for a complete SEO friendly and photography blogger Template with complete responsiveness layout. All new addition features and mega menu are included in this latest magazine photography theme.